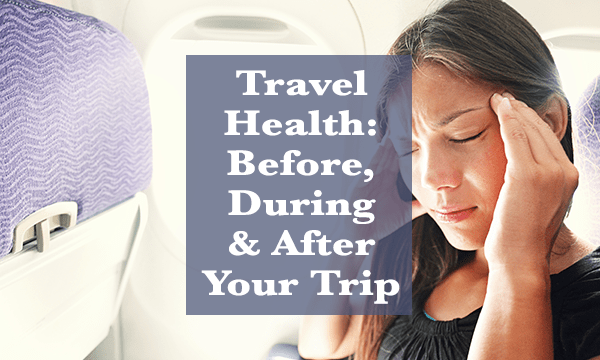 I must admit: unless you’re in the medical profession (or are just a SuperFan thereof), it’s hard to get excited about a book on the topic of Travel Health. This is one travel health book that you’ll actually enjoy reading! The author is a delightfully droll physician from Canada by the name of Dr. Mark Wise. He has been practicing his craft—with a specific focus on travel medicine—for decades. And (bonus!) he is a prolific and amusing writer who is clearly determined to take a rather dry subject and make it both accessible and (dare I say it?) kinda fun! The point of this book isn’t to freak you out about all the exotic ailments that are lurking at your next vacation destination. Indeed, as Dr. Wise points out on his blog, you’re far more likely to be involved in an auto accident than you are to be laid up by an ambitious virus. But as I say ad nauseum, the best defense is a good offense. Consider this book your official offensive team, in handy paperback form. If you’re a travel safety nut like me, you’ll want to read this book front-to-back. In fact, make this the second travel safety book after you read an excellent overview on the topic of personal safety, The Gift of Fear. However, if you’re just looking for a useful reference to toss in your suitcase, the book is thoroughly indexed by situation, symptoms, and disease. And don’t turn up your nose at this book if you’re already a seasoned traveler. I’ve visited all seven continents, and I still found all sorts of tidbits on the topics of motion sickness and location-specific vaccinations that I’d never before considered. …and that’s just the FIRST half of the book! The book also includes an unusual and highly valuable section on symptoms that may arise AFTER you return home. Remember, some nasties have an incubation period of weeks or even months before they make their presence known. This is the only travel health book I’ve encountered that maintains its usefulness after you’ve unpacked your suitcase. It’s far more likely that you’ll be dealing with more mundane stuff like bug bites, not-so-clean water, and drunk drivers. I’m not saying that you shouldn’t avail yourself of medical professionals, of course…but sometimes—say, in the middle of a roadtrip through the Australian Outback—they’re just not around. When you really drill down, you’ll see that—more than a travel health guide, this is a book about accepting personal responsibility for your health and well-being. In short, it’s a book about good old-fashioned common sense. And couldn’t we all use a little more of that? This blog is an book review from the 2017 Art of Smart Travel Bookclub. Did you like this blog? Then you’ll luuuuv the newsletter! VIP content for the tribe, pretty much every week. We’re talking extra travel tips, personal anecdotes, and behind-the-scenes shenanigans. Travel Tribe members help steer the future direction of this site, so head on over to http://bit.ly/readybetty for all the goodness!